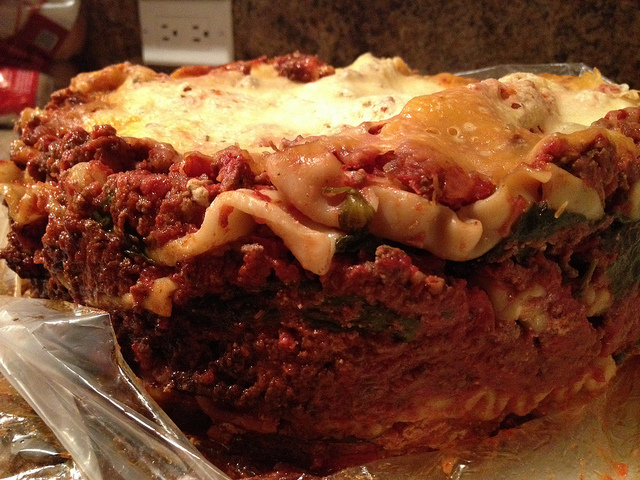 An Easy Crock Pot Lasagna Recipe For A Busy Cook Like YOU! Ready for a little taste of Italy? With the crock pot lasagna recipe that follows, you're only hours away from a wonderfully prepared home cooked crock pot meal. This is another slow cooker recipe for a busy cook just like you, who is feed up and finally ready to try out some of the many crock pot recipes that are readily available online. Convenience is what I like most about crock pot recipes. You can prep this recipe ahead of time before leaving the house for work. When ready just put your crockpot on a timer and when you return home after a hard days at the office you have a ready to eat meal prepared for you to enjoy. In a medium frying pan, brown ground beef over medium-low heat, adding finely chopped onion and garlic when the beef first begins to brown. Continue to cook and stir throughout the process. Now its time to add your tomato sauce, tomato paste, and oregano. Continue to cook and stir until mixture warms. Your meat sauce is now ready to be added to the crock pot. Next it's time to add your ingredients to a lightly greased crock pot. You will have to layer the lasagna as follows: meat, lasagna noodles, cottage cheese, Parmesan and mozzarella. Using a ladle, layer the bottom of your greased crock pot with the meat sauce, the add two layers of uncooked lasagna noodles and then top with cheese in this order: cottage cheese, Parmesan and the mozzarella. Repeat this for two or three layered lasagna using up all the ingredients. Cover slow cooker and cook for 4 to 5 hours. In most cases the lasagna should be adequately done at the 4 hour point so watch closely. Okay now with recipe in hand it's time for you to get in the kitchen and give this recipe a try.